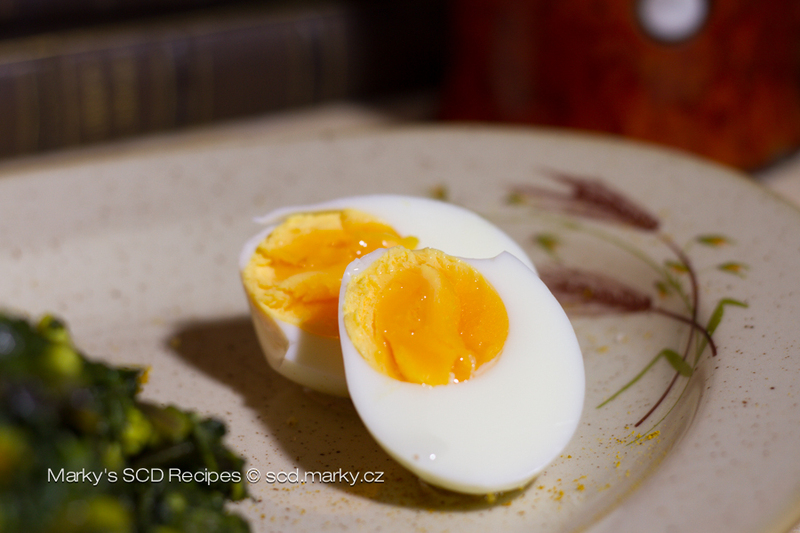 Spinach masálá (curry) – Heal With Meal! 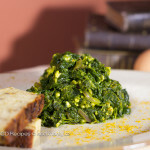 Let's prepare spinach in a completely different way. Let's make spinach out of "spinach" with masala spice, known here as kari. I named this recipe such, so as to avoid confusion, since Kari is an Indian dish, specifically pieces of meat or vegetables in a sauce. I suggest removing the old prejudice from the days of school cuisine and add the spinach into your favorite and go to meals. We usually buy spinach directly from farmer's in a market, but it is possible to buy it fresh even in the winter, mostly in supermarkets. But if you can't find it fresh, just get frozen, it is more than sufficient It's also better to get a higher priced one, so you avoid a disappointment after defrosting in the shape of green water, from which you really cannot make this delicacy. 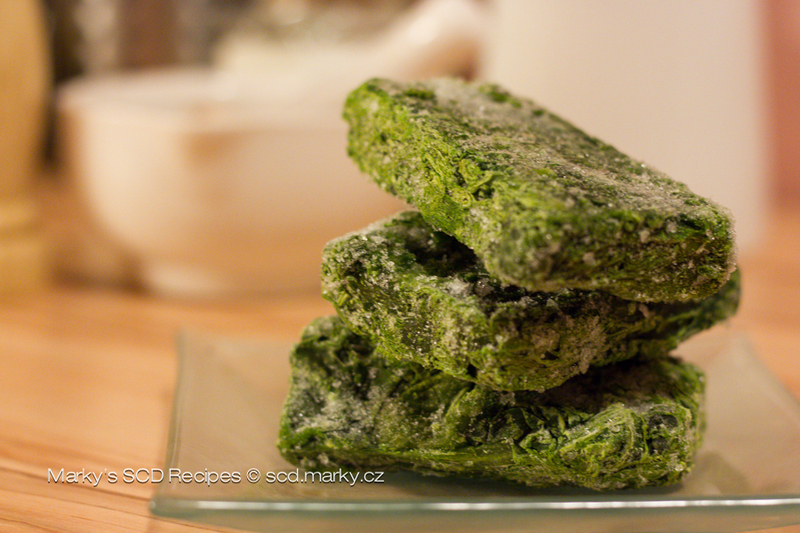 I had good results with Bonduelle L´Epinard - these are spinach leaves frozen in a bag inside of which there are about 15 small blocks in the shape of a rectangle. I defrost the bag of frozen spinach leaves right on the pan, until all the water evaporates, which takes about 15 minutes. Add sunflower oil, onion or leek, salt, pepper, and sear while stirring. 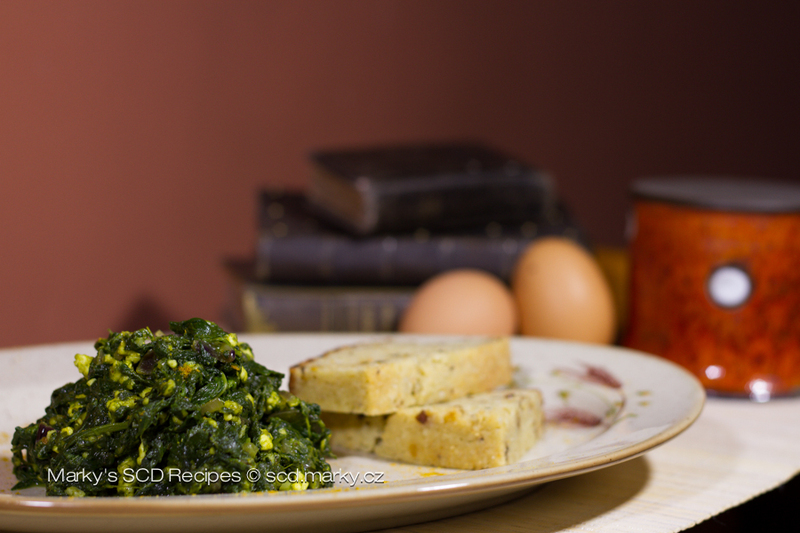 After about 5 minutes, mix in kari, which makes the spinach nice, softly savoury taste and sear for 5 more minutes. As it is not necessary to thicken the dish, I crumble the cottage cheese above the pan and add it to the mix, stir and keep searing for 3 more minutes. Finally add the pressed garlic and it is done. 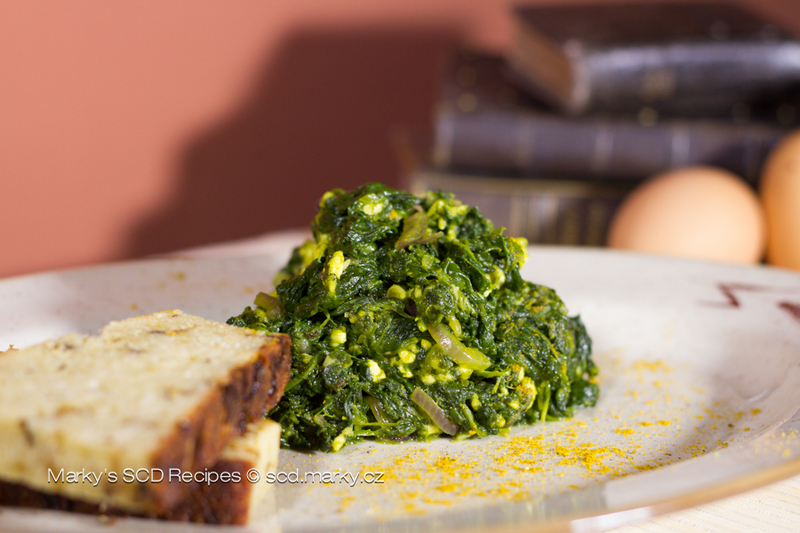 As an idividual meal, the resulting amount should be enough for 2 people, if you wish to use the spinach as a side dish, you can count up to 4 portions.